I am not sure if music is a career, or if career is the word for what it is. It’s a name, but not a cause. If we separate music and career we can look at just the music. I began playing music as a young kid; piano and flute. I picked up the guitar when I was in secondary school because the girls did not like boys who played piano. Simple. I was still a teenager when I started playing shows, mostly 60’s style bands, garage, psychedelic stuff that sounded more punk than psychedelic because we were not very good players yet. It was fun, but playing with a group was tiring. I felt I was always the one doing everything, everybody was lazy. The California sun is too bright and hot; people want to go to the beach, not sit in a hot room. 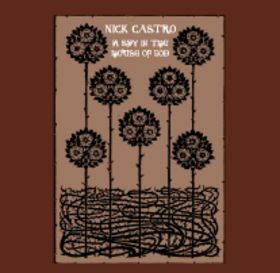 When I was 21 I started writing little things that would turn into my first album, A Spy in the House of God, which I self released on CD and LP. It sold decently well and I got picked up by Eclipse for the second LP and Strange Attractors for the CD. Were you in any bands before you started your solo career? The only one that released anything was Children of Gauhd. We played free music, messing around with guitars, tape machines, drums and found parts of metal objects. We self-released some material that I don’t even have copies of anymore. The album was called Kinder Des Gottes. Other than that, there are demos and videos floating around amongst friends of old bands I was in, but that’s it. 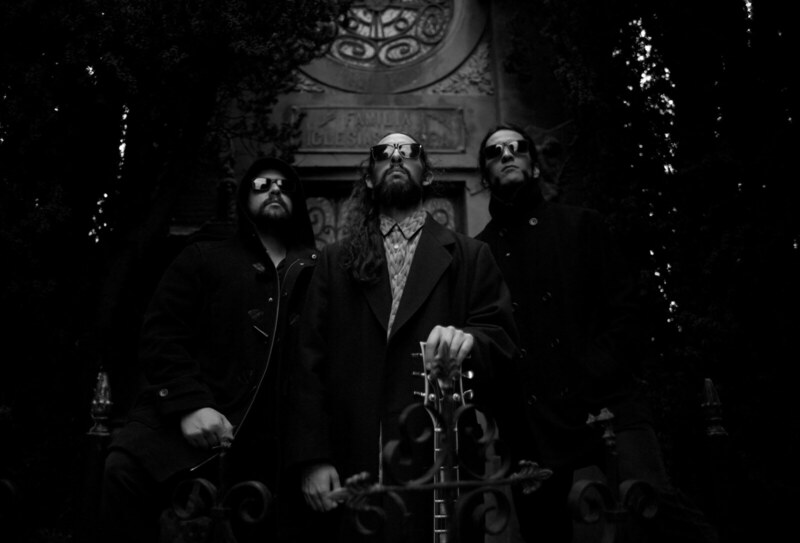 Sometimes our music has some strange or rootsy touches, but I am not sure if it is psychedelic, or folk even, at least not in more than a suggestive manner. Those terms are really polysemous so I am not sure myself what they mean at times, but as Potter Stewart said, “I know it when I see it”. 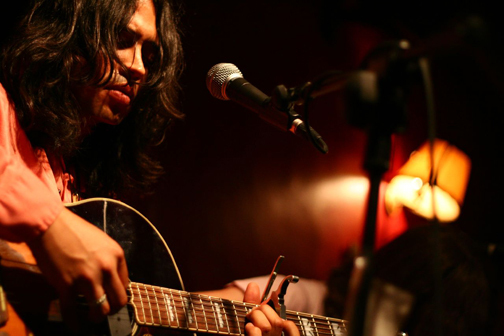 I always say we play “acoustic music” when asked the question, “what kind of music do you play?”. As to influences, I assume you mean musical ones. I mostly listen to MPB and 70’s soul these days, Jorge Ben, Lo Borges, Walter Franco, Chico Buarque, Simone, Eddie Kendricks, Smoky Robinson, Chi-Lites, Isley Brothers etc… Back when I was starting to play solo I listened to a lot of Moondog, Faust, Magical Power Mako, Kevin Ayers, Les Rallizes Denudes, Yabby U, Count Ossie, Incredible String Band, 60s pop groups like The Moon and the Beach Boys, gamelan records, so many things I can barely remember. I used to always work in record shops when I was young. These days I don’t listen to records as much as when I was a kid. I don’t need to, I’ve already heard them all, and I listened really closely. Now I listen at special times, not always or so furiously as before. In 2004 you released your solo album A Spy in the House of God. could record something with it. Tracking back then still felt magical, not like a craft yet. It was a different experience then tracking today. I am not willing to put a value judgement on it because I loved recording then as I still do. Now I know what to do though, it is much more controlled and deliberate. The sounds are better now, but the mystique is gone. I felt before as if I was exploring unknown lands, now I feel like am navigating a dense jungle, but one I have been through many times, so I begin to recognize signs and landmarks. Solo And With Friends followed. I really don’t remember specifics about it. I don’t have a copy. I remember it was the time I was touring with friends out east. I think there were a few takes with some Espers friends backing me up, maybe some solo stuff. I really can’t remember. 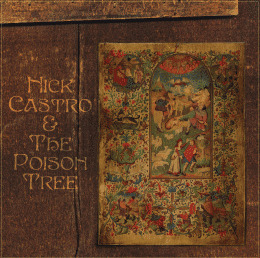 Nick Castro & The Poison Tree is a project you started awhile back. You released an album called Further From Grace in 2005. It was my first time in a proper studio, just outside of Philadelphia. 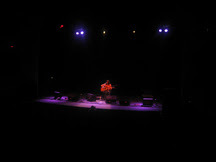 I had just come off tour with Josephine Foster and Marrisa Nadler. I was staying at the Espers house and recording and mixing for five days I believe. It was lightning fast and I remember feeling very rushed. Halfway through recording, the power died overnight, and when we arrived in the morning the entire studio was frozen. No running water, flushing toilets or warmth anywhere. It was the day I was to record vocals and I was so upset. I had hat, scarf, jacket and gloves as we did the vocal tracks and I can remember seeing my breath as I sang. I was surrounded by space heaters that we would shut off when we hit record so they would not buzz and make noise while the mic was on. Everyone who played on the album was fantastic. Most of them did not have parts worked out, we would quickly figure out a theme and I would let them improvise as much as they saw fit. I had so much fun making that record. It was a party the whole time, everyone there was friends and we would laugh and screw around and I would let the engineer, Brian, do his job and I would sit on the sofa and make production decisions while having fun with friends. Otto Hauser and I had a pizza eating contest over a several day period, which he won and I ended up nearly vomiting. He ate three more slices after that just to mock me. 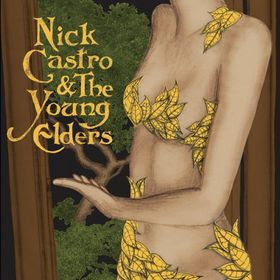 In 2006 you released another album with The Young Elders. The album is called Come Into Our House. 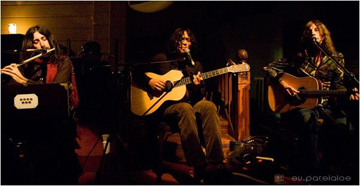 My friend Jeb record this at Big Scary Tree in the loft district of downtown Los Angeles. It was the west coast version of Further From Grace; another party but this time with LA friends. Jeb’s a genius and has one of the best studios around, I love the guy, he’s a real character and super fun to work with. We spent a lot longer there than we did in Philadephia. CIOH is longer and a much more complicated album and therefore took so much longer to do. Baby Dee was hanging out in the studio when John Contreras was recording his cello parts. There was a passage with soaring cello and me and John were trying to find the right note. We were deliberating for a while when Dee chimed in with the perfect note, without even looking up. I remember us all laughing at how she just threw out, so easily, something we couldn’t find with so much struggle. How about the cover artwork? That was Wendy Watson for the most part. I did most of Further From Grace, but she handled the others and always did the technical side of the design, it is what she did for a living then so was really good at it. Plus she understood exactly the aesthetic I was looking for. How is touring going for you? I have taken a little over a year off. I live in San Francisco now and have just been starting to play out more, this time with a new band I am starting with my friend Sasha Bell. She used to play in Essex Green and Ladybug Transistor and is an amazing player and songwriter, I love her like a sister. Over the last 18 months I’ve done a few show in SF and LA with people like my buddy Ruthann Friedman, Masaki Batoh, Bob Lind etc…there is an amazing venue in SF called The Vortex Room, that my friend Neil Martinson helps run and book. It’s my favorite place to play and hear acoustic music. It is a small speakeasy style movie theatre, decorated in a really far out manner, the sound is good and the people who go there are just great, real freaks of the best kind; intelligent, strange, interesting and really nice. I have pretty much finished writing a new album and just need to record it. Acuarela out of Madrid is doing it and I’ll be touring mainly in Europe again, it’s where I do best. Touring in the US is fun, but not like Europe. Also, the new band I am starting is taking up lots of my time so may end up touring with them before I do another solo tour. What is your opinion about psych folk scene these days? 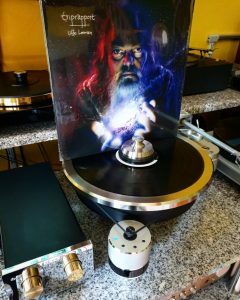 I am going to sound like a bitter old man, which is funny because I am neither bitter nor old, but I have had enough of the modern music scene. It is dying off to a large extent, allowing itself to be swallowed up and replaced with safe faded-then-white-washed facsimiles of real art. I think the punk ethos has been so distorted, misused and over-priveleged by the indie kids of today that is has led to laziness, mediocrity and self-congratulatory nonsense. I can’t talk about any modern music scene, that I have come into contact with, without talking about the larger state of the world, which if I am not careful will lead to countless hours of talking. But, everything is in everything, so talking about modes of power and communication can be relevant to any artform. I will say this: people are so hypnotized by dynamic systems of modernity that they are left with only a capacity for brief understandings on first read, leaving them often times unable or unwilling to comprehensively appraise the materiality of art as a product of inspiration’s agency, rather it becomes one of an internalized opinion of the apparatus of society and state. The result? Bad art; soulless suburban white sounds flocking to the city, lacking in testicular fortitude, patting each other on the backs, calling a pigeon a parrot and plucking their shoe strings while riding bicycles to their reappropriated vegan midday meals. Thank you Klemen. See you soon in Slovenia! 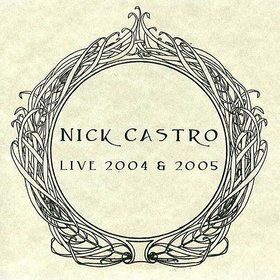 Does anybody know what has happened to Nick Castro after the release of "Come into our house" (an album of sublime beauty and as indispensable as the records by, let' say, In Gowan Ring, Stone Breath, Rusalnaia or Trappist Afterland). Twelve years are gone and I haven't heard anything. That's rather strange. Is he still alive?